Wood blinds, custom drapery, California shutters, roller shades, cellular blinds, blackout blinds, vertical blinds, metal blinds, faux wood blinds, blackout drapes, motorized blinds, cordless blinds, blind measure, window measurements, blind installation, commercial blinds, residential blinds - Whistler, BC. Window coverings do more than offer privacy for your home. They can provide shade + block UV rays, frame your view, and have a significant impact on your home decor. Whether you're looking for light-filtering cellular blinds, blackout roller shades, wood (or faux wood) blinds, shutters, roman shades, or luxurious drapes and curtains, Mountain Home Decor has everything to dress your windows exactly the way you want. With so many styles and looks to choose from, you’re sure to find window coverings for every room in your home that suit your lifestyle and your interior design. Below, we've provided links to our trusted blind suppliers. They have great visual resources to assist you in selecting which style of window covering may be the right one for you! If you have any questions about large windows, motorization, blind mechanisms, or any inquiries about the variety of styles, feel free to get in contact with us. We are happy to help! 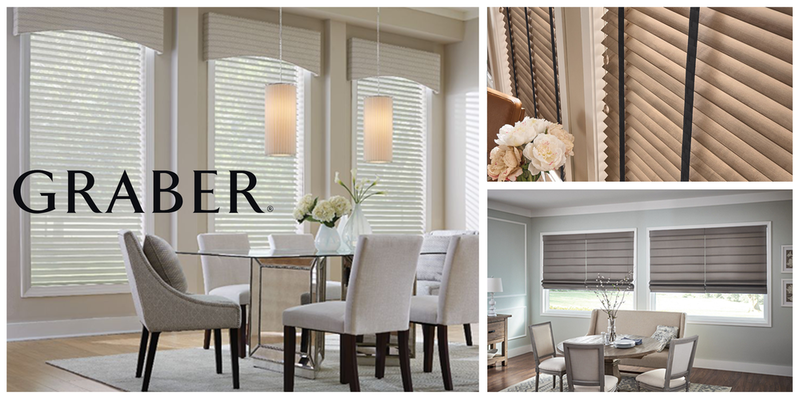 There are many reasons why Graber is our “go-to” blind company! Graber is an all-encompassing industry leader. They offer a seemingly endless variety of window treatments, frequent promotions (i.e. free cordless on all blinds for a limited time, or increased % discount for ordering large quantities), and unparalleled warranty + replacement policies. Additionally, their website features several helpful tools, FAQ’s, and visual aids to help guide you through the process of selecting window treatments. Altex is a family-owned Canadian company, specializing in window covering solutions for the residential and architectural markets. Its mission is to provide a unique range of exclusive products with aesthetically appealing designs and to excel in providing the best service to its clients.